In December of 2018, Trey Anastasio quietly posted a teaser on his Instagram page which served as an announcement of a new solo band called Ghosts of the Forest, the first time Anastasio started a band in over a decade. The short instrumental piece of music was just as mysterious as the band’s name. The announcement came as quite a shock to the jam band community, especially seeing a new face in addition to what was a minuture hybrid fusion of Phish and Trey Anastasio Band. 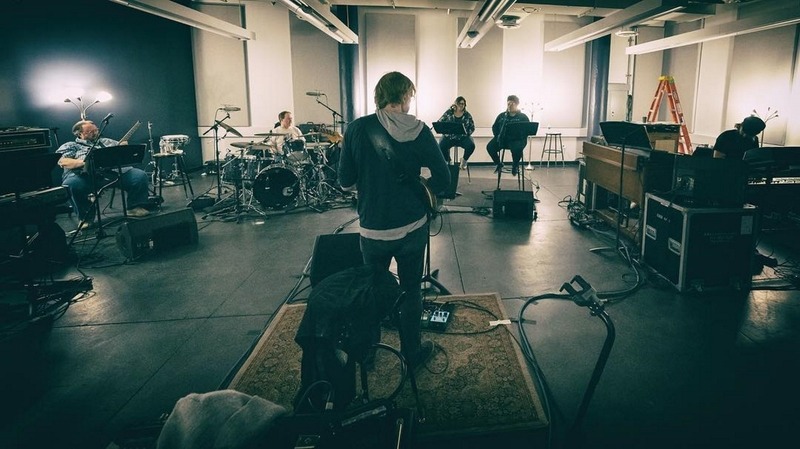 Ghosts of the Forest features Trey Anastasio and Jon Fishman of Phish, Broadway star Celisse and longtime Trey Anastasio Band members Tony Markellis, Jennifer Hartswick and Ray Paczkowski. The band immediately announced a brief tour that would take them up and down the east coast, and eventually add a few dates out in California. Anastasio also enlisted production designer Abigail Holmes (Stop Making Sense, Phish, The Cure, Janet Jackson) for the tour. Since the original announcement, Anastasio has shared some interesting details about the band as well as confirmed the group has a full album of original material that will be released in April. In an interview with Patrick Doyle for Rolling Stone, Trey tributes the new album to his late friend Chris Cottrell. Cottrell was a friend of Trey’s long before Phish and was his “tether to childhood.” Trey was by Cottrell’s side during his last days when he lost his battle with cancer in February of 2018. As for the arrangement of new material, Anastasio admits that “a lot of those songs kind of allude to” his late friend Chris. Trey also struggle with self-doubt if he ever wanted to release them. Rolling Stone calls the new music “psychedelic guitar liftoffs, ambitious arrangements and extremely personal lyrics.” GOTF recorded the album over the span of just a few days at the legendary Barn Studio in Vermont in April 2018. The record was produced by Anastasio and engineered and mixed by Vance Powell (Chris Stapleton, Jack White). Ghosts of the Forest will make their live debut tonight at the State Theatre in Portland, Maine. The stint also includes dates in Philadelphia, Washington D.C., Albany, Boston, New York City, Los Angeles and Berkeley. Listen to the title track in its entirety below.